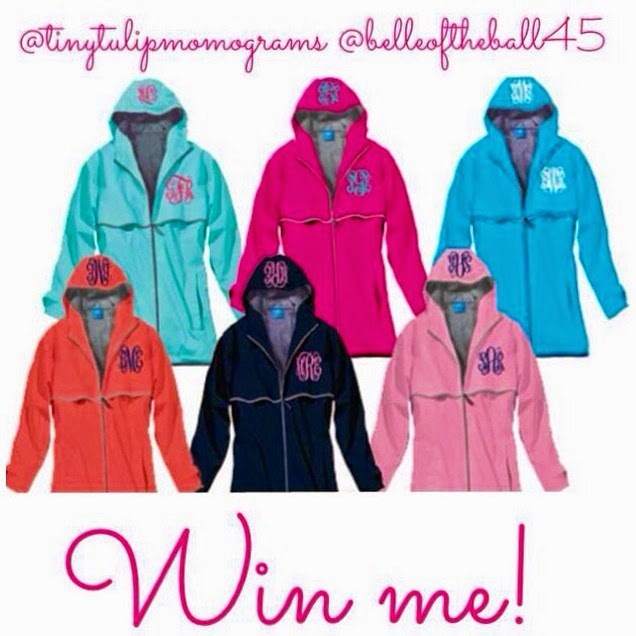 Belleoftheball45: Monogram Rain Jacket Giveaway! Hey everyone! Remember the rain jacket from www.tinytulip.com I styled a few weeks ago? Well exciting news, I've teamed up with Tiny Tulip to give one away! Here's the 4 different ways you can enter. If you do all four you will be entered 4 times. 2. Like Tiny Tulip on Facebook. 3. Comment a link to your favorite Tiny Tulip item from their website this blog post or "Monograms on a rainy day". 4. Sign up for the Tiny Tulip newsletter on the bottom of their website. Comment done on my instagram photo and which numbers you completed! I love the chocolate brown monogrammed quilted boots! This wall monogram in a Lilly print is too cute.! http://www.tinytulip.com/monogrammed-leatherette-wristlet I love this wristlet, so handy and cute! I feel like I would use it all the time! Monograms on a rainy day! I'm a sucker for some seersucker - and this pillow is too cute! Thanks for offering such a great giveaway! 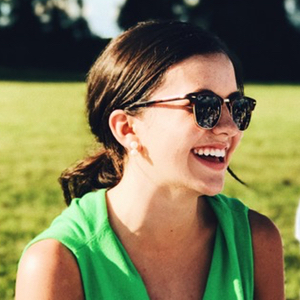 their brand new monogrammed oxford with the elbow patches is obsessive! I can't wait to order one! it wont let me paste the link :( but i LOVE LOVE LOVe the quilted vest in the oatmeal color! So perf! I really just love the monogram rain jackets!! It rains where I live a lot and having one from here would sure make a statement! :) thanks for such a great giveaway! !